If there’s one thing Fraser Valley farmers know for certain, it’s how to work together. And that’s exactly what District of Kent farmers have done for the last four years in order to recycle thousands of pounds of plastics waste. It all started, or rather, picked up, where a Fraser Valley Regional District and District of Kent pilot project left off. The project set up local farms with one-ton bags where farmers could store plastics and deliver them a few times a year. Once the project ended, a new committee formed to keep the project going. Kent Agricultural Plastics Recycling, run by director Dave Hastie, has organized regular plastic pickups three to four times a year for over three years. Kent farmers come to the Schwichtenberg farm to drop off their plastics, usually filling two huge shipping containers of recyclable material, sometimes totaling more than 20,000 lbs. The system has worked well, but Hastie hopes the work can be picked up by the province as a stewardship program. He says Fraser Valley farmers, and the province in general, need a responsible, sustainable solution for recycling agricultural plastics. “We have a good model here. Farmers love it. They love participating, they feel good about recycling,” said Hastie. 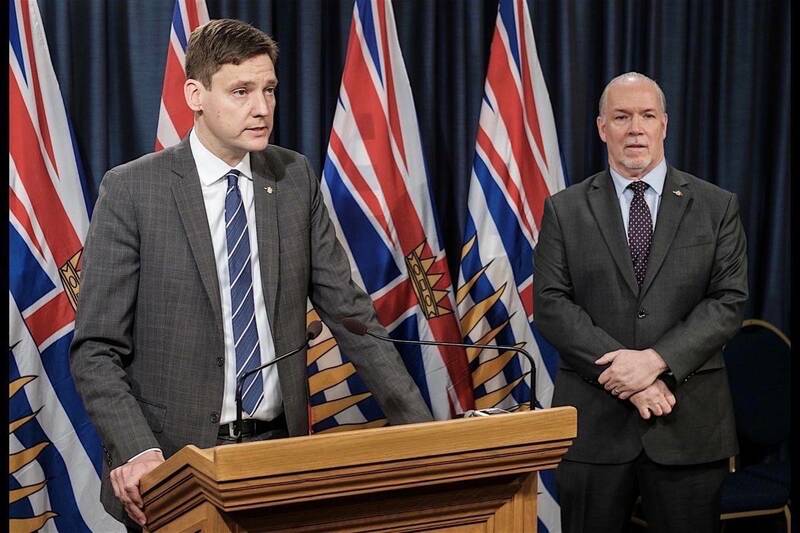 A provincially-regulated program might require an environmental fee to be added to agricultural plastics purchases, said Hastie, but it would be well worth the solution it provided. Plastic is used frequently on Kent farms mainly as silage or hay wrap, as silo covers or in baler twine. It’s a cheap, easy and accessible material for farmers to use, but Hastie says more thought needs to go into the entire life cycle of the material – from first use to disposal. That plastic creates a great deal of waste. Hastie estimates he picks up more than 75,000 lbs each year. Right now, the plastic is transported to Blue Planet Recycling, a depot in Langley that recycles the plastic before selling it overseas to be processed into usable pellets for items like patio furniture, gardening supplies and house siding, to name a few. A Cleanfarms study in 2012 found that dairy farms, along with beef, greenhouse and nursery farms, generate significantly more packaging waste than others. In total, an estimated 5,500 tonnes of non-organic waste is generated on BC farms each year, and about two thirds of that waste is plastic. That’s because in most cases, Hedderson says the collection and consolidation of material is too expensive for municipalities to manage on their own – plus a lack of municipal infrastructure like baling and collection equipment. Agricultural recycling programs aren’t a new concept in Canada, but for the most part they rely on grassroots organizations and community members to store, collect and transport the material, which is no easy feat when handling such high volumes of recyclables. Last year in Alberta, a group of environment and agriculture organizations created a policy framework addressing the need for a farm recycling program and presented it to their provincial government. And in Saskatchewan, studies and projects addressing farm plastics waste are underway. Kent-Chilliwack MLA Laurie Throness attended a plastics pickup at the Schwichtenburg property on Oct. 26. He said he has written to Recycle BC (formerly Multi-Material BC) asking them to look into including agricultural plastics as part of their work. But for now, Kent farmers will continue to carry the costs of hosting, collecting and transporting their plastics. As well as lobbying the government for support in what they see as reducing the footprint of the farming industry. “It’s part of the big picture, and they try to brush it off but it isn’t small, its big,” said Hastie.